For Cadac CDC eight-16, CDC eight-32 and CDC six consoles. You can now run Waves’ GRAMMY®-winning reverbs, equalizers, compressors, limiters, delays and more directly from your Cadac CDC six and CDC eight consoles. 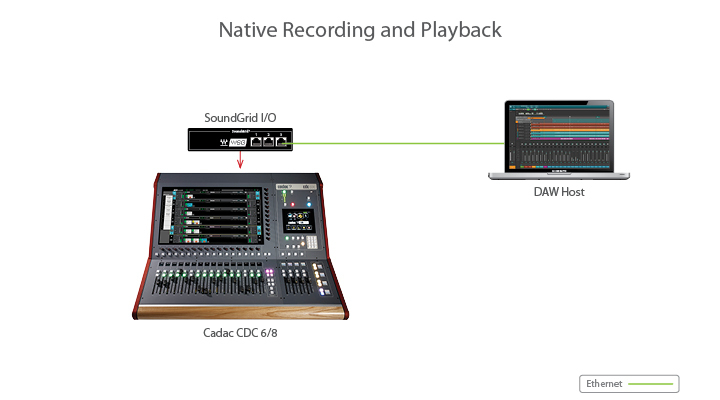 Every CDC six or CDC eight console features a built-in Waves SoundGrid interface that lets you run Waves SoundGrid plugins in low latency, record, and do virtual soundcheck. CDC six and CDC eight both come with the MultiRack plugin host already integrated into the console, and are pre-loaded with Waves SoundGrid plugins. All you need to do is connect your plugin licenses (via a USB flash drive) and your SoundGrid DSP server (via Ethernet) to the console's Waves SoundGrid I/O, and you’re good to go! Connect a PC or Mac computer running the Waves Tracks Live software, and record up to 64 tracks at 96 kHz. 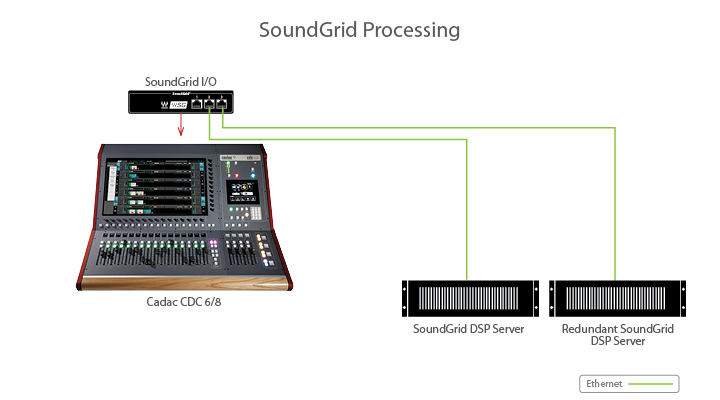 In SoundGrid configuration, a dedicated SoundGrid DSP server powers the plugin processing, enabling low latency and high plugin counts. 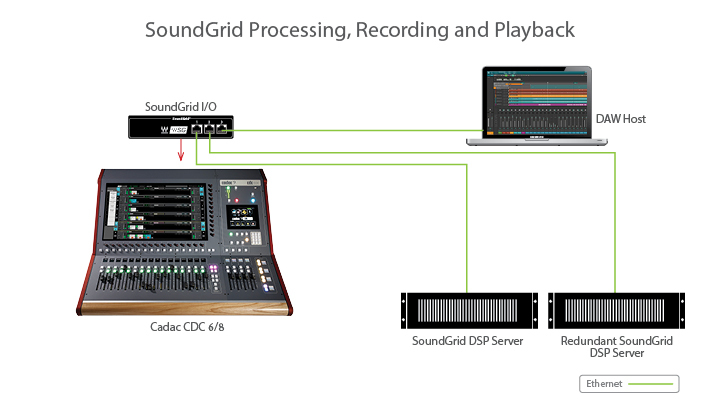 The SoundGrid configuration also gives you advanced networking capabilities and enables you to add a backup DSP server.